Port statistics for the month of May 2018, covering the eight commercial ports under the administration of Transnet National Ports Authority, are now available. 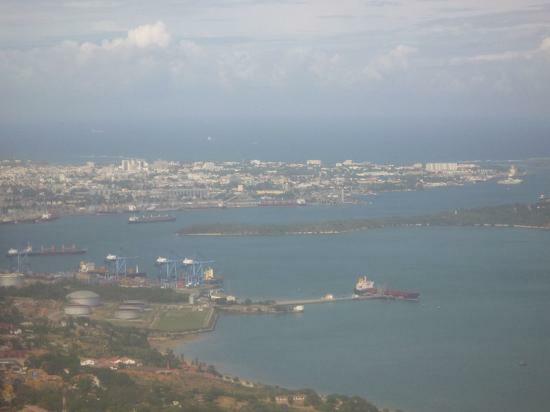 Results indicate a good month for the national ports, with Richards Bay (8.116 million tonnes), Saldanha (6.762mt) and Durban (6.092mt) all shining. Container throughput was also quite good at 401,073 TEU handled at all ports. Total throughput for May was 24.384 million tonnes compared with a throughput of 22.611 in April. On 20 February 2017 we reported on a possible merger between the two Italian shipping companies of Mediterranean Shipping Company (MSC) and Ignazio Messina Line (Linea Messina), with a possible 49/51% share in favour of Messina. See that report MSC TO TAKE 49% STAKE IN MESSINA LINE. 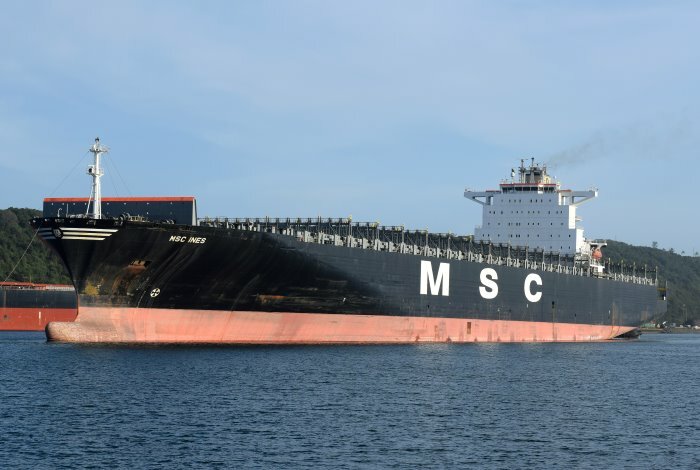 According to shipping consultancy Dynaliners (Dynamar BV), MSC has now reached an agreement with Banca Carige on a EUR 450 million restructuring of Linea Messina that will see MSC become a 49% shareholder in the smaller Italian operator. 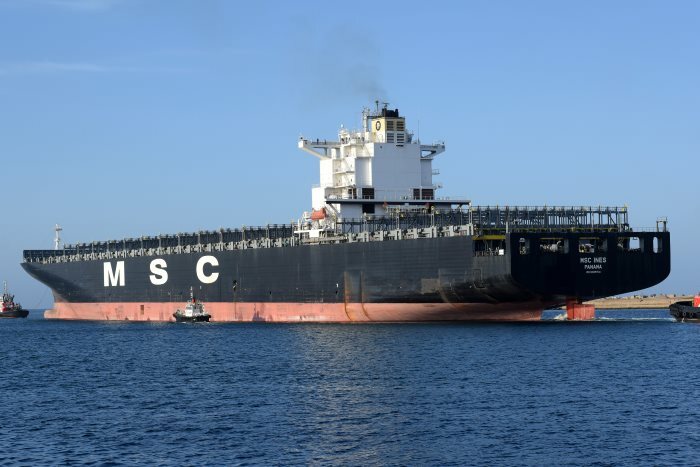 This will leave control of Messina Line in the hands of the Messina and Gais families, but as part of the deal, speculates Dynaliners, MSC may take control of Messina Line’s eight ConRo ships, of which three are seen on the Italy – East and South Africa service. MSC already has two of these ships on charter. Dynaliners says that it will probably take several months more to finalise the deal since there are other banks involved with which agreement will have to be sought. The merger in which MSC is about to become a large shareholder in another established shipping company is unusual in that until now MSC has grown into the world’s second biggest container shipping company in a uniquely organic way, without resorting to taking over rival or supplementary companies. 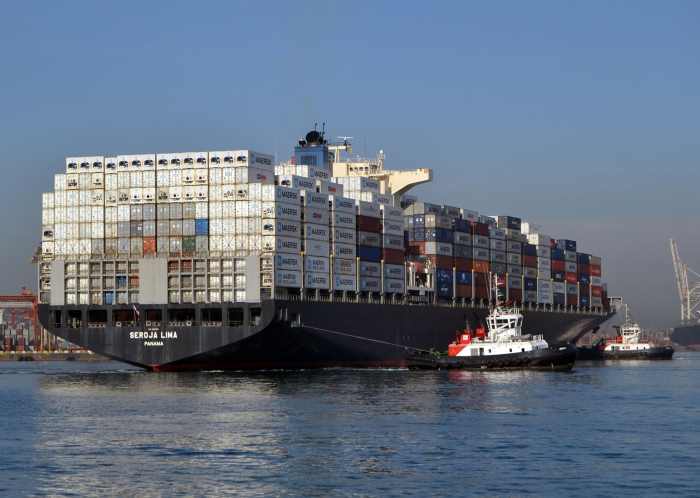 The rotation of the Mediterranean – South Africa service, using 2,900-TEU ConRo vessels, is: Barcelona, Marseilles, Salerno, Alexandria, Mersin, Jeddah, Djibouti, Mombasa, Dar es Salaam, Durban, Maputo, Dar es Salaam, Mombasa, Jeddah and back to Barcelona. 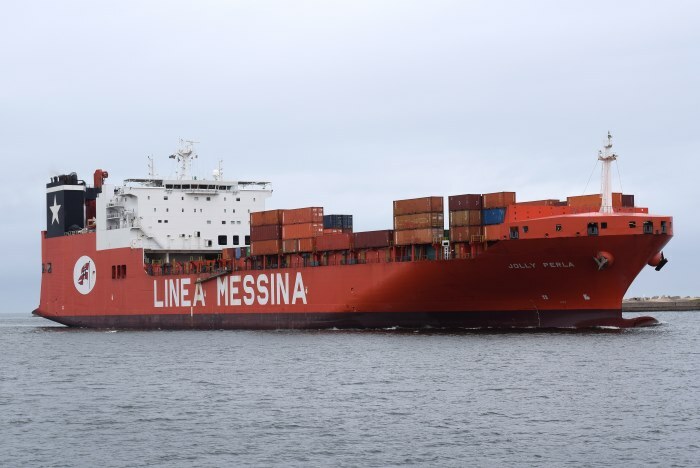 Messina’s West Africa service is operated jointly with MSC and CoscoSL using 2,500-TEU ship on a rotation of: Genoa, Castellon, Valencia, Algeciras, Dakar, Lagos (Apapa & Tincan), Tema, Takoradi, Abidjan, Algeciras and back to Genoa. 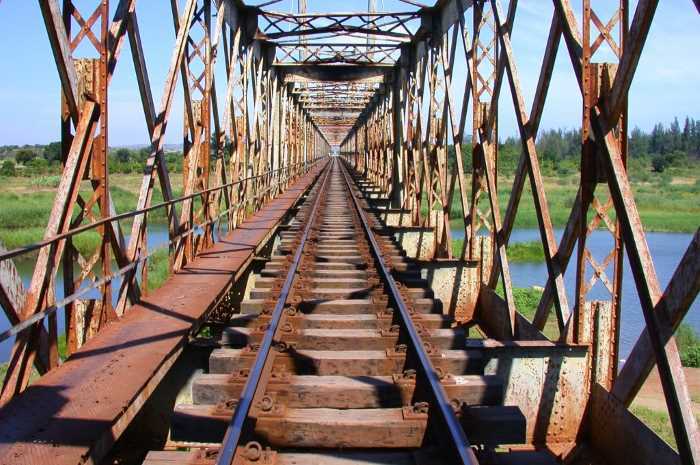 Freight rail service on the Ressano Garcia (South Africa) and Goba (Swaziland) lines, including the Salamanga branch, have been suspended until next Wednesday to allow maintenance work to proceed. With global recognition increasing about the dangers of plastics waste pollution particularly in the world’s oceans, closer collaboration among role-players remains crucial to success in combating the rapidly expanding menace. At least that was the dominant message flowing from this year’s observation of World Oceans Day in Durban at the weekend – a two day event hosted by the Department of Environmental Affairs (DEA) in collaboration with several institutions including the South African Maritime Safety Authority (SAMSA). 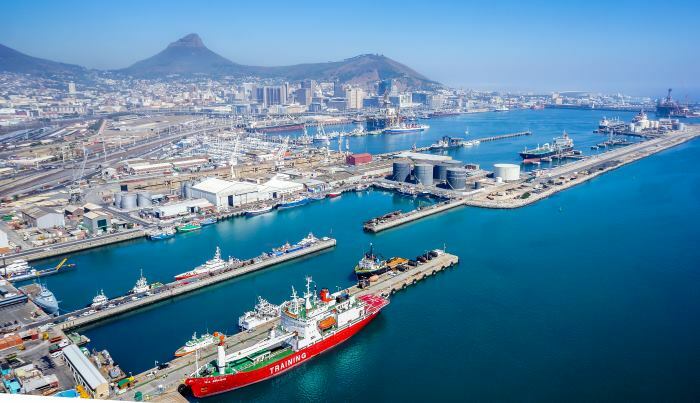 SAMSA is charged statutorily with responsibility for the monitoring and prevention of pollution by ships at sea all around South Africa, an area spawning more than 1.5-million square kilometres and over which the country has interest in as an exclusive economic zone. 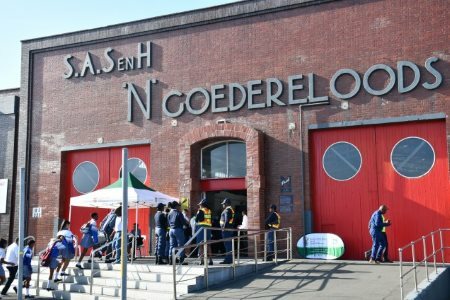 In Durban over two days, from Friday and Saturday, several institutions across the public, private, higher education, research as well as community sectors gathered under one roof at a hall located at the harbour for an exhibition as well as a public awareness campaign focused on sharing information about the menace of plastics pollution. The first day was almost exclusively dedicated to high school pupils in the Durban area while the following day was open to members of the public for whom another major attraction was the country dedicated marine research vessel, SA AGULHAS II. In addition to maritime careers information for the school pupils, both groups were taken through various information sharing sessions on the importance of the country’s marine resources as well as the absolutely crucial need to spare the environment of pollution, of which plastic waste was the most dominant currently across the world. 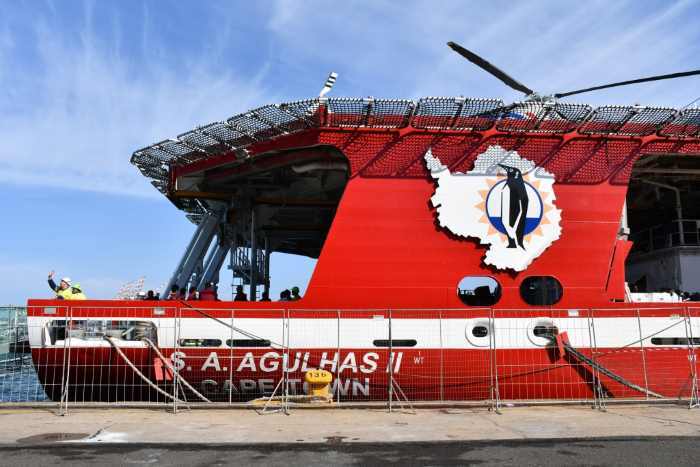 Visitors were also taken on a tour of SA Agulhas II, ahead of its departure to the Antarctic region with supplies for the research stations there, as well as undertaking further studies by a group of marine scientists on board. 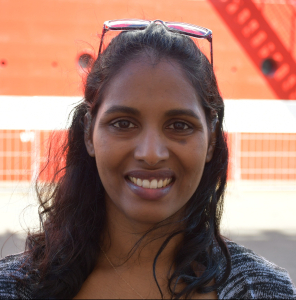 According to Ms Keshnee Pillay, a marine scientist in biological oceanography at the Department of Environmental Affairs, greater collaboration among all stakeholders and roleplayers engaged with the plastics waste pollution campaign is crucial to future success. In the following video, she explains why the focus of this year’s World Ocean Day celebration had to be on plastics pollution particularly as it affected the oceans and other marine environment. 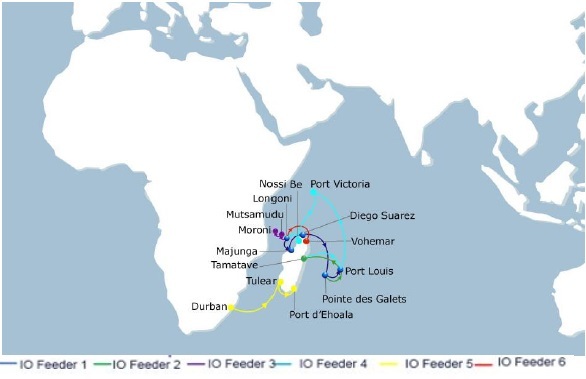 With the recent phase-in of a larger capacity vessel up to 1,800 TEU on the Indian Ocean Feeder 2, CMA CGM is able to disclose the new complete set up of its Indian Ocean Feeder network with the introduction of a 6th loop Indian Ocean Feeder. The ‘retirement’ of the former managing director of Kenya Ports Authority, Catherine Mturi-Wairi, which was announced last week KENYA PORTS AUTHORITY MD IS SUSPENDED, THEN REINSTATED BY COURT ORDER – 6 June is being further challenged in Kenyan courts, it is being reported in Kenya. Mturi-Wairi was appointed managing director in June 2016 after former MD Gichiri Ndua was dismissed earlier that year. She became the first female to hold the position as head of the KPA. Her stated replacement, Daniel Manduku has not yet taken up office – Manduku is the CEO of the National Construction Authority. The Mayor of London has been asked to intervene in a controversial dispute over plans for a cruise ship terminal on the Thames near the Isle of Dogs. 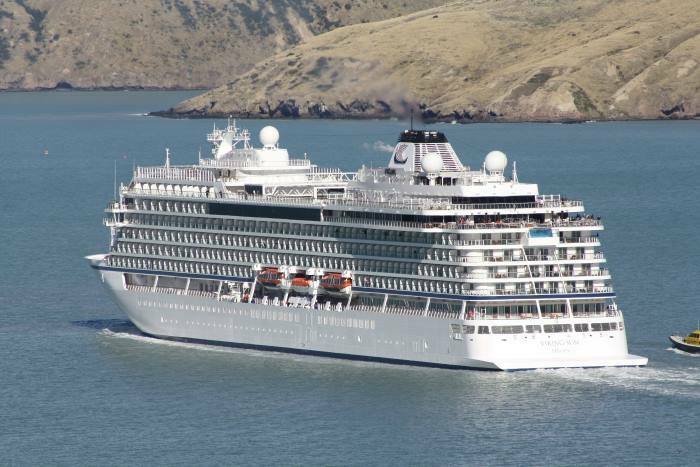 It is feared that severe air pollution will result from cruise ships using the facility, affecting both sides of the river. ** PRESS RELEASES **Send your Press Releases here info@africaports.co.za and marked PRESS RELEASE. Provided they are considered appropriate to our readers we will either turn them into a story, or publish them here. 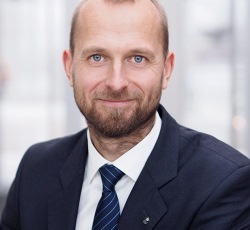 WISTA (Women’s International Shipping & Trading Association) Norway has opened its doors to its first ever male member, Nor-Shipping Director Per Martin Tanggaard. The organization, which supports and promotes women in maritime business management positions, has enjoyed a long-standing partnership with Nor-Shipping and saw Tanggaard as the ideal person to announce the next chapter in its development. “Per Martin is an enthusiastic, open minded and forward-thinking member of the maritime community. As such he is a perfect ambassador for WISTA and our mission of promoting women within the industry,” comments Bjørg Ekonrud, President, WISTA Norway. Nor-Shipping, Your Arena for Ocean Solutions, has worked with WISTA since 2015. WISTA’s Waves of Change conference is an established part of the Nor-Shipping programme, with associated events and networking highlighting opportunities for women within shipping, while acting to increase diversity, equality and participation. Nor-Shipping is also a high level sponsor of the WISTA International AGM and Conference, taking place in Tromso, Norway on 25-26 October 2018. “Nor-Shipping has been at the front line of fighting for greater female participation in maritime for years and we see this move within that context,” notes Tanggaard. “By helping WISTA open its doors to men we can increase the reach of the organization within maritime and help effect positive change. Tanggaard has also signed up as the first male mentor for WISTA Norway and YoungShip’s Female Maritime Mentorship programme. Nor-Shipping 2019 takes place at Norges Varemesse’s Lillestrøm exhibition halls and across numerous venues in Oslo from 4 – 7 June 2019. The WISTA Waves of Change 2019 conference is scheduled to take place on Tuesday 4 June in Lillestrøm. Colour photographs and slides for sale of a variety of ships.Thousands of items listed featuring famous passenger liners of the past to cruise ships of today, freighters, container vessels, tankers, bulkers, naval and research vessels.